The VC-HEAVY is a Hi-Tech bench machine with easy to read LCD display and incorporates VC's flexible system with interchangeable heads and roller tables. It is designed with modern components: microprocessor control, servo motor for head drive and servo motor for core drive. 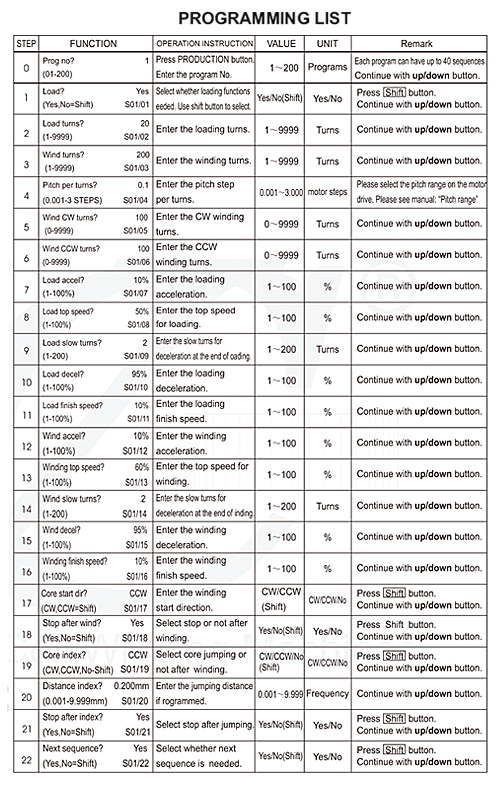 The user friendly software guides the operator thru the programming with clear text commands. Typical jobs for the VC-HEAVY are general and heavy duty applications. The machine is very strong and heavy and it has a powerful SERVO MOTOR with 1.5KW for the head drive,therefore, it can handle thick wires at high speed. Programming in less than 1 minute - with the new “V&C Quick Programming System” that needs the programming of 4 major functions only ( Load turns, Wind turns, Pitch and Speed) while retaining all programmable functions known today in the toroid winding industry. 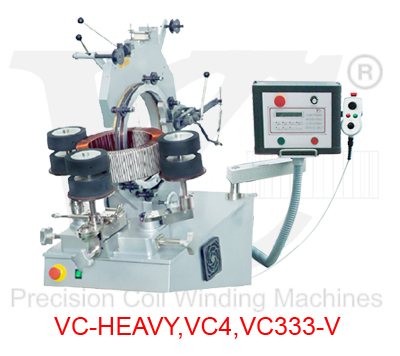 Machine set up in less that 1 minute - with the “V&C Teach-in System“that enables pitch and speed adjustment during winding with automatic saving of the improved value. Perfect machine control- with 3 standard speed control options : Foot-pedal or Hand-control or Start-automatic for selection of the most suitable control system for your application. Maintenance free machine base - no motor brush change, no gearbox -oil change, no disc change clutch, no drive chain replacement etc.